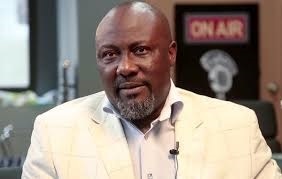 Senator Dino Melaye has dragged the Independent National Electoral Commission to court to prove the illegality of the referendum seeking his recall. The gloves are off and drowning Dino is fighting back. He is seeking an order restraining the electoral body from conducting any referendum aimed at recalling him. Melaye in his suit marked FHC/ABJ/CS/587/2017 filed before the Federal High Court in Abuja described the recall petitions as fictitious. He also wants the court to void the recall process on the grounds that it was commenced in breach of his fundamental right to fair hearing. The suit was filed along with an affidavit of urgency, urging the court to assign the case to a judge and be granted an accelerated hearing. The affidavit of urgency deposed to by a litigation secretary in the law firm of Ozekhome, Usman Salihu, states, “That he has also asked for injunctive relieves restraining the defendant from acting on the said petition. “That except this matter is assigned and granted accelerated hearing, the real issue in this matter might be destroyed. INEC had in a statement on Thursday said it had formally informed Melaye of petitions filed by its constituents to recall him and fixed July 3 to begin the recall process.